At the age of 26, Karl Marx embarks with his wife Jenny on the road to exile. In Paris in 1844 they meet young Friedrich Engels, son of a factory owner, who has studied the sordid beginnings of the English proletariat. Engels, somewhat of a dandy, brings Karl Marx the missing piece to the puzzle that composes his new vision of the world. Together, between censorship and police raids, riots and political upheavals, they will preside over the birth of the labor movement, which until then had been mostly makeshift and unorganized. This will grow into the most complete theoretical and political transformation of the world since the Renaissance driven, against all expectations, by two brilliant, insolent and sharp-witted young men from good families. At 26, an exiled Karl Marx meets Friedrich Engels, the son of a powerful factory owner. Together, amidst censorship and police raids, riots and political upheavals, they preside over the birth of the transformational labor movement. Interesting movie. In original languages, a very European production. A brilliant work by the always superb Raoul Peck ("Lumumba"). To close the piece with Bob Dylan's "Like A Rolling Stone" and those mesmerizing clips was genius. I could see glimpses of Engels' later work, On The Origin of the Family, Private Property and the State (published in 1884), in the polyamorous relationship with his sister-in-law and wife. 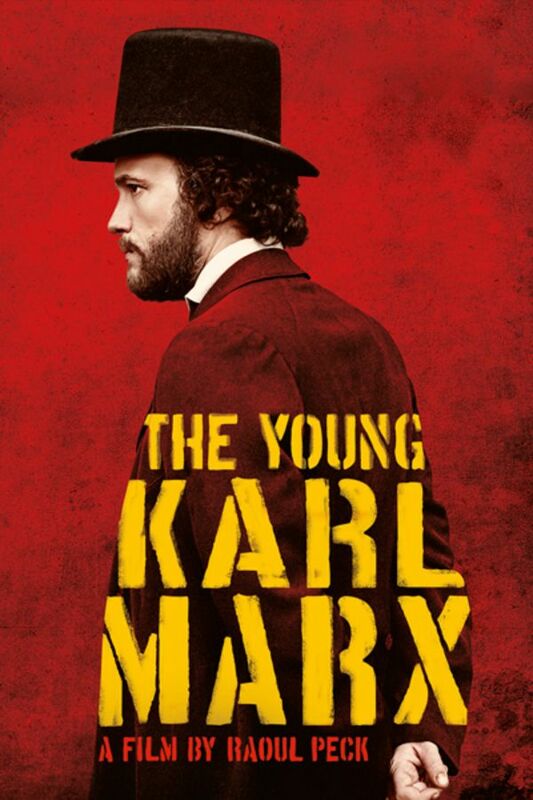 such a great look into the person who is Karl Marx!